How do children have fun while studying? The question of whether a child receives a good education in school is intriguing every parent. What to do, however, when our child experiences difficulties in the process of studying English language? Unfortunately, the traditional educational system doesn’t help much every child to learn a foreign language. Every child memorizes the material with different speed and has a different duration of keeping the attention on it. Some children memorize when they are still in the classroom, while other need additional co-curricular work in order to learn well the material. Therefore, many parents are asking themselves how to help their children to learn easily English language. One of the best ways for our child to spend the summer vacation in a productive and in the same time fun way, is to enroll him on a summer children’s camp. The children‘s language camp offers to all children great summer adventures and the opportunity to improve their English language skills in a fun and interactive way. Children are too busy having fun that they don’t notice that in the same time they are learning new things. The formula for a happy summer is a combination of entertaining physical activities and educational classes, where the child communicates in English language with the other children and learns new and valuable skills. The educational games improve the foreign language level of the kids and they are very entertaining, which guarantees the successful learning of the foreign language for a short period of time. It is a proven fact that when a given learning material is presented in an interesting way, the children and even the adults, perceive the information more naturally and subsequently they reproduce it faster. The creation of one foreign language environment favors the rapid learning of English language and the easy overcoming of the foreign language barrier. It is not a secret that many children in the pre-school period experience difficulties in overcoming this barrier. What educational techniques are applied in the language camps? The language camps for children, unlike the schools, offer innovative interactive methods in their classes that follow the latest world trends in foreign language teaching. They use modern methods in the initial English language education such as Montessori, Solar pedagogy, Suggestopedia. Audio-visual methods are applied in the classes, kids use tablets, computers and interactive boards. Namely, the full immersion in a foreign language environment which resembles the environment of a residence in a foreign country, is the key to the effective learning of a particular language. The gained knowledge in the respective language camp builds a foundation for further English language learning. What are the main benefits of the children’s language camp? In a children’s language camp is created the perfect environment for communication between the kids in English. In the process of communication with the other children in the group and with the teachers, the kid learns to communicate more easily in English. In the language camp, the children are not only having fun with the various games but they also learn social skills that will certainly benefit them later. The camp provides them with a kind of quick course on social skills. Since the children’s language camps include project assignments in their educational program, the kids learn successfully to work in team, to learn collaborative skills, to develop their creative thinking. An environment in which the mother and father are absent, is good because the children are more encouraged to gain independence and responsibility for their actions. It is not a surprise that some children in the camp even find friendships lasting a lifetime. They learn to make decisions on their own without the help of the parents, and to make decisions on behalf of the entire team, as well to resolve conflicts. Teamwork teaches children to take risks, leads to good self-esteem, emotional intelligence and also teaches empathy and values such as respect, tolerance, responsibility, teamwork skills, friendship, creative thinking and help for the development of their personalities. Last but not least – the language camp brings children a sense of belonging to one cohesive environment. The children‘s language camp allows a child to meet many new people in a different environment, and to go out of his comfort zone. Thanks to the limited period of time and the new friendships, the language camp seems to give the children a blank sheet on which they can freely “draw” their personality, to get to know themselves better. One of the main things the camp teaches children is that is not fatal to make mistakes in learning. The traditional test-papers for punishment do not exist in the camp, except for the universal entry and final examination in English language, which are held in order to be determined the group with the suitable foreign language level for the child. In camps, as well in schools, children are divided into different educational groups according to their level, that have individual training program which is in compliance with the newest requirements in the foreing language teaching. The parents get a report at the end of the camp, showing the results of their child and providing information on what is to be done in the future. In a language camp, every child, regardless of his language level, has the opportunity to learn the language correctly and to overcome his difficulties without worrying of being judged. Another thing that is different in the language camps, compared to the schools, is that the teachers work individually with the children who are experiencing serious difficulties in the foreign language studying process and in the speaking classes. Every child receives special attention from the teachers who work with him extra hours in order to clarify the educational material and to help him speak freely the language. They apply a special technique of repetition of a given phrase, as the children memorize the words without feeling worry or shame for their mistakes. With the help of encouragement by the teacher, with no remarks in the event of a mistake, the children gradually start to communicate in English and express themselves freely. In a children‘s language camp there are no assessments that can undermine the confidence of the children and make them feel bad. The continuous corrections to a child when he is wrong, do not lead to long term results in the foreign language learning. Even on the contrary, the corrections by the teacher can reduce the motivation of the child to learn the language well. In the camp children are aware of their limitations and find a way to overcome them. Thus, they learn to see more clearly the things that need improvement and that require more work. In our age of technology, sometimes the parents experience difficulties to make their children have fun with something different, other than their favorite computer games and smartphones. The truth is that in this way the modern children lose their connection with nature. 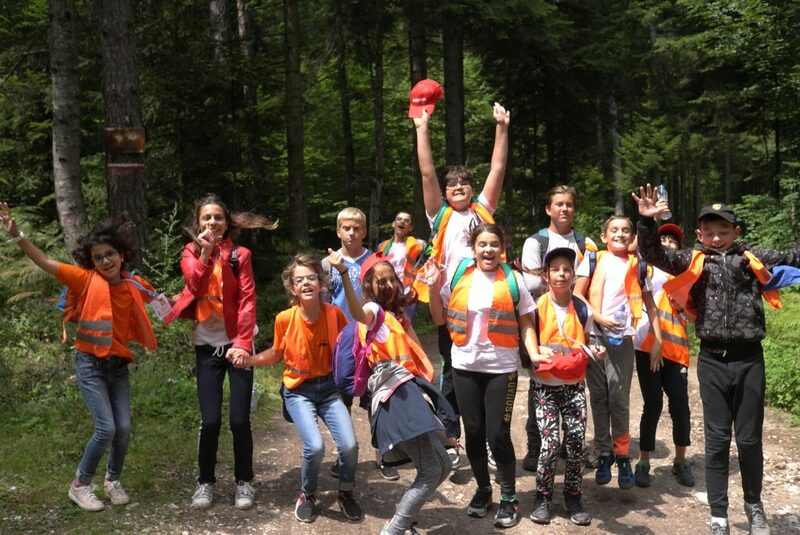 The language camps stimulate the children to spend more time in nature which strengthens their connection with it. The kids learn that exciting adventures do exist in places other than the computer screen. Nature is necessary for the healthy development of the children. In the language camps the use of electronic devices, except for the classes, is forbidden, as well watching TV and surfing in Internet is also not allowed. The electronic devices are used only for educational purposes. Children have the right to make phone calls to their parents, but the use of smartphones is limited. Thus their attention is focused on the games in nature, as well no socialization with the other kids which is a better option for spending the summer days. One of the things that make the language camps a favorite place of the children is the presence of fun games which guarantee both joyful summer experience and enhancement of their knowledge of the world. They stimulate their curiosity for the world and awake their creativity. During their stay in the camp, the children learn many things about the nature, as this helps them to realize its significance and why we need to preserve and protect it. An important condition for all games and activities in the camp is to bring happiness to the children, to stimulate them to use the gained knowledge outside class, as well to teach important skills that will be further necessary for them in life. In the summer language camp children learn to accept difficulties as challenges, as well to overcome them with efforts and enthusiasm. What games, activities and experiences offers the languages camp? 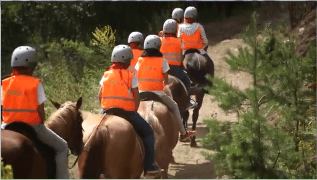 The language camps for children stimulate the kids to be active through various activities such as cycling, rock climbing, swimming, paintball, yoga, dancing and other, as well they provide them with practical skills. In games, children learn useful things like how to row, to light the fire, to read a map, to distinguish edible from non-edible plants, how to survive in the woods, to make marine nodes, to play a team sport, to cook on their own and many other things that they otherwise wouldn’t learn in the urban environment outside of the camp. 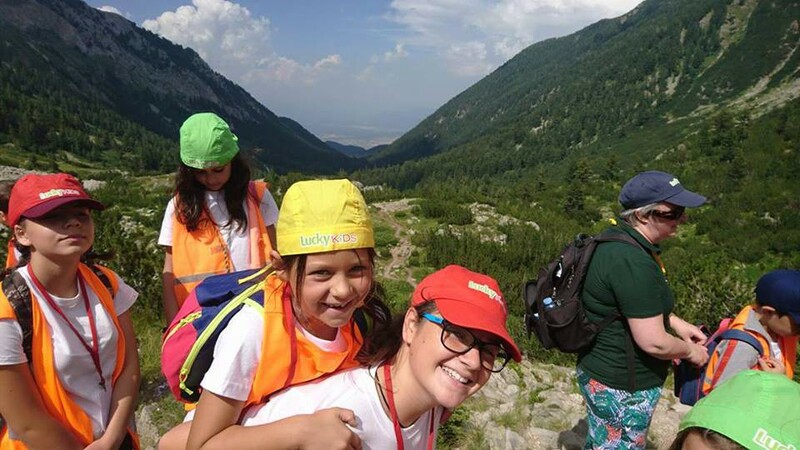 We will not forget to mention the fact that all activities in a language camp are supervised by a teacher or animator, so the children are never alone and all safety measures are observed. In general, the program in a children’s language camp includes getting up early, regular meals with healthy nutritious foods, pleasant physical activities outside for a long period of time. One balance between mental and physical activity is offered there. This teaches children a healthy and productive lifestyle. Regardless of the reason you choose to send your kid to a language camp, the benefits from this decision are many so don‘t hesitate and do it. 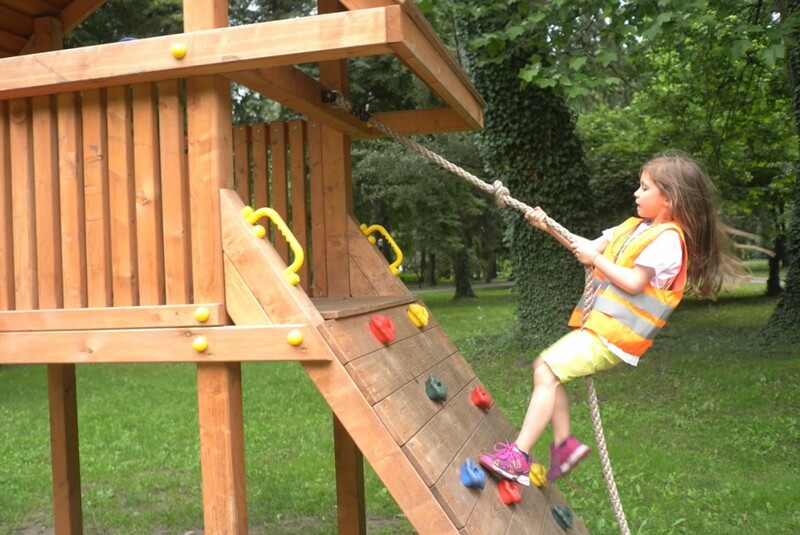 Next Post: Is it necessary to prepare in advance the child before the summer camp?